How much should you automate social posting? Do you even need any involvement? As social media automation takes a hold over greater and greater parts of our lives, being able to answer this properly can hold the difference between a successful and a distinctly unsuccessful social media strategy. There’s a further tradeoff to be aware of: done badly, automating social posting can kill engagement, the single social media metric that actually matters to most people. In this post, we’ll show you how to automate social posting without killing engagement. First, we’ll back way up in order to understand the purpose of your social media account. From there we’ll look at metrics which can measure this, then turning to the benefits and pitfalls of automation, tools to use and how to automate successfully – without killing engagement. Why automate social posting: What’s the purpose of your social media account? Before we can talk about how to successfully automate social posting, we need to understand what you’re trying to achieve. This will vary according to the type of your usage: personal, professional or corporate (either for or non-profit). Reach new customers in order to increase sales. Develop influence in a professional network. Raise awareness about a particular topic or issue. Keep in touch with (professional) friends and colleagues. Develop brand loyalty with existing customers. Social media is not an end in itself, so understanding how it fits into your wider goals is vital. If you don’t pick from the list above, make sure the purpose connects more broadly to what you’re trying to achieve. Once you understand what you’re trying to achieve, we can look at the metrics which show whether you’re on track or not. Social media platforms create a dizzying quantity of metrics that allegedly measure how successful one is at each platform: likes on Facebook, follows on Twitter and hearts on Instagram. Most of these metrics, however, reveal stunningly little; they are vanity metrics. Vanity metrics are metrics which look useful but don’t provide any real value. “[Vanity metrics are statistics] which might make you feel good, but they don’t offer clear guidance for what to do.” — Eric Ries. Let’s look at a mini case study to illustrate the point: you’re running a small online business and want to use social media to increase sales. You already communicate effectively with existing customers through an email list, so you decide it’s best to focus on reaching new customers. To do this, you purchase targeted adverts for posts promoting your products on your Facebook page. Facebook is keen to show you the number of likes each post gets and how many people see each post (known as the “reach”). With only 200 likes to your page to start out with, it’s very exciting to be shown 20,000 people have seen your post and 50 people have liked it. Encouraged by this, you decide to continue purchasing adverts and increase the budget allocated to it. This is a classic case of vanity metrics: the number of likes and post reach tell you nothing about how effective your posts are at delivering new customers or increasing revenue – the things you set out to do originally. Instead of vanity metrics, we’re after actionable metrics. These are metrics which do provide insight and can be used to better tailor your approach. Liking, recommending or sharing a post. Clicks on a post’s link. Replies or comments to a post. Clicking on a post to read more. All of these can be linked back to your social media goals: if you want to increase sales then focus on clicks to your website, if you want to increase your influence then look at replies and if you want to increase awareness, look at likes, recommendations and shares. When you’re tracking engagement you can get valuable insight into how effective your social media usage is and tailor your response in accordance with the results. You shouldn’t completely ignore all other metrics, such as total number of followers or likes, but you can place much less weight on them. 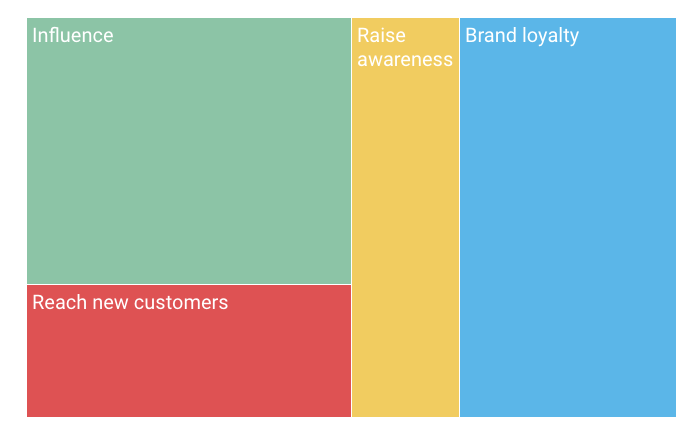 Engagement is the actionable metric you want to be tracking. It’s vital you understand the purpose of your social media usage so you can test results against that purpose. Furthermore, you must be using the right metrics in order to test that purpose properly. You almost certainly want to be looking at engagement, so armed with this understanding, we can talk about social media automation. Why automate social media posting? Updating social media accounts is time-consuming. When you have plenty of other demands on your time, it can be difficult – or just unfeasible – to maintain a regular schedule of content. In steps automation: tools such as Revive Old Post, Revive Network, Buffer and (to a lesser extent) Jetpack can do a lot of the social media work for you, either allowing you to conveniently queue up content in advance or straight-up automate the entire process. It’s auto-pilot for your social media accounts. 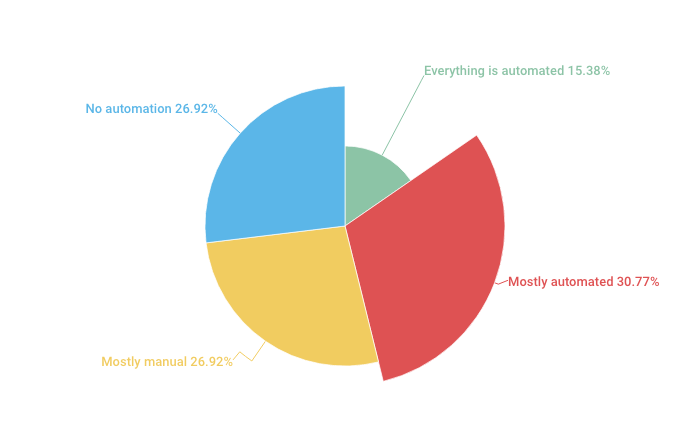 The results of our survey on social media posting automation. We surveyed usage of automation in social media posting (see above) and the results were revealing: the most frequent response (30%) was that social posting was “mostly” automated, but the majority of respondents (53.8%) replied that their social media was either “mostly” or wholly manual. Clearly automation is popular, but more people need to be persuaded of its benefits. So what are they? The big obvious, win is automation frees up time for you to do other things. If your Twitter and Facebook feeds automatically fill up, the tasks are completed and it’s not something you have to worry about. A secondary win is you’re also able to ensure your social posting is consistent and your posts go out at times when followers and fans are going to see them (this could be when you’re asleep, for example), rather than just on an ad-hoc basis from doing the posting yourself. Consistency and timing are major determinants for social media success, so an automated profile may even move the needle on your actionable metrics more than you could manually. 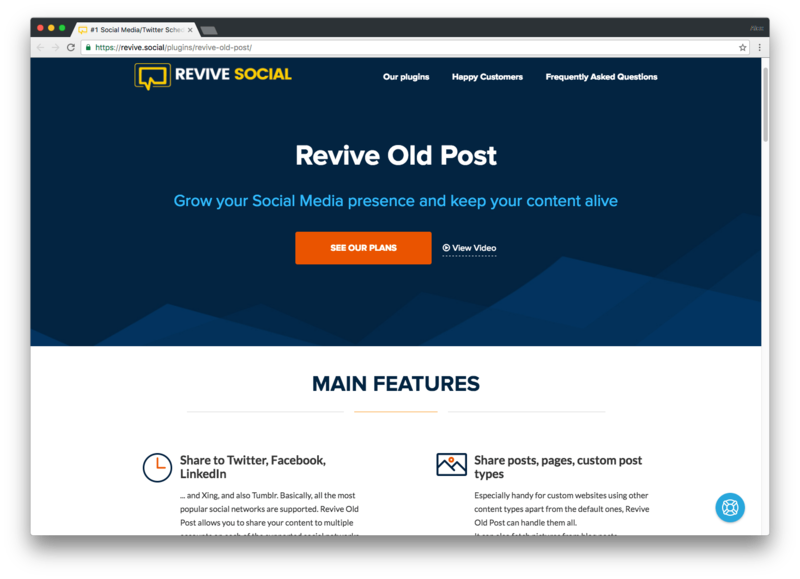 Revive Old Post is a WordPress plugin which automagically “revives” old posts from your blog and gives it new life by posting it to your Twitter, Facebook, Xing, Tumblr and LinkedIn followers. You set the schedule and the format for the posts and the plugin handles everything else. The plugin can even work out the best hashtags to post next to your posts from categories and tags, and grab featured images to embed in the social media posts, for maximum engagement. This is true “set and forget” automation. 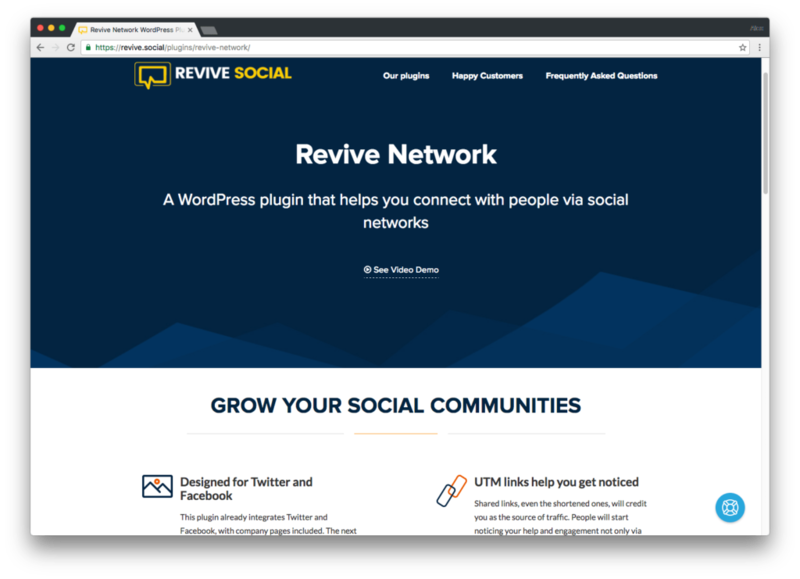 Revive Network is another WordPress plugin, which lets you automagically share content from other blogs to Twitter and Facebook. This is true automation: you just enter the RSS feed of the site you want to share new posts from, a schedule to follow and the plugin does literally everything else for you. Buffer is one of the best known social media automation services. The premise is simple: you queue up (or “buffer”) Twitter, Facebook and Instagram posts in advance, and these are posted at a pre-set schedule. This makes sure you have a consistent stream of content and can post at the times your followers are most likely to see the content (the Power Scheduler tool will analyse your networks and recommend share times that will maximize engagement). Whilst Buffer is well-known and widely used, its real automation power is lesser utilised. Buffer is especially powerful when paired with IFTTT, a service which can connect Buffer to a variety of other apps you probably use already. If you’re using Pocket, for example, one of the most useful integrations is to automatically add favorited articles to Buffer. This lets you share interesting content with an action you’re using already; truly painless automation. You can see the full list of integrations here: it’s well worth taking a look through what’s possible and setting up whatever’s convenient. 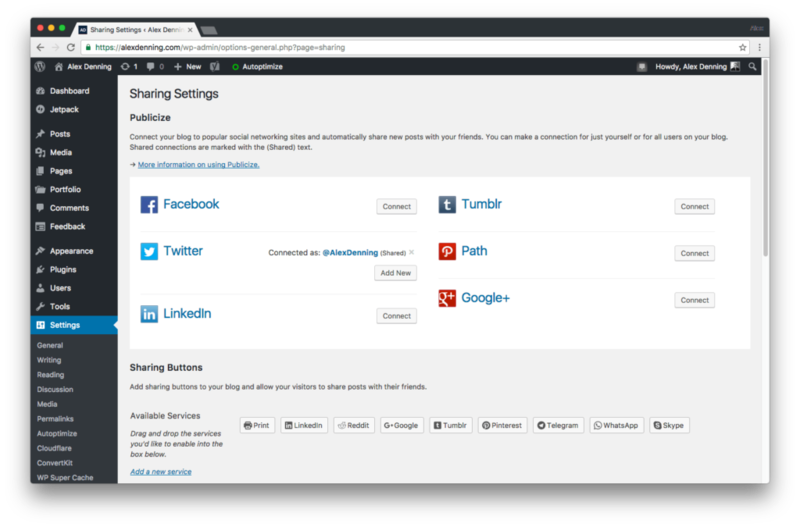 Jetpack features a Publicize module which can automate the posting of new posts to Facebook, Twitter, LinkedIn, Tumblr, Path and Google+. Use this in conjunction with Yoast SEO in order to get elegant previews for your blog posts across social networks. At a time when automation is poised to cause huge disruption, these tools are easy to use and set up, and somewhere automation can provide an easy win for you. Set these up once and meet your social media goals without any or much work on your part. All looks good, right? Here’s the twist: going all in on social media automation kills engagement. If you only or even mostly post automated content, in time followers or fans of your page are going to stop reading and interacting with your posts. Why does automation kill engagement? The clue with social media is in the name: social media needs to be social, so failing to offer this – a byproduct of automation – much reduces the appeal of your account. If you’re just churning out a list of articles, quotes and promotional posts, there’s very little value to be had from following you unless what you’re posting is inherently valuable, which in the vast majority of cases is rarely honestly true. A fully automated social media account is not interesting as it does not interact to responses, engage in conversation or react to events, the very things that gives social media its comparative advantage. Going all in on automation kills your ability to interact with the hundreds of millions of people using each platform in real-time, and with it the engagement of the people who follow you. Going all in automation can kill engagement, but that doesn’t mean there’s no place for automation in social media: the key is to strike the right balance. Automation can, in fact, be a key part of a very successful social media strategy. The key to getting the balance right is letting automation handle the regular content that keeps your accounts fresh whilst manually handling the reaction and interaction that makes social media so valuable. You can achieve this by setting aside regular time engaging, @replying and responding to comments and messages. Once a day after checking email you could, for example, take five minutes to actively respond to and engage with social media. Set up searches in TweetDeck and use the Notifications tab on Facebook pages to get an at-a-glance overview of what’s happening, what people are saying about you and where you need to respond. This will allow you to remain relevant and part of the conversation whilst not taking up a significant amount of time. Once every couple of days head into your Buffer queue and edit your queue with some extra content. Whilst you’re there, head to Settings → Link Shortening and either disable link shortening or use bit.ly. This will make sure it’s not immediately obvious your content is automated. Revive Network lets you create multiple templates for your automated content: use these rather than sending out posts with the same text each time. This is slightly cheating: it gives the impression of personality whilst still wholly automating the process. It’s also important to see what works and adapt. 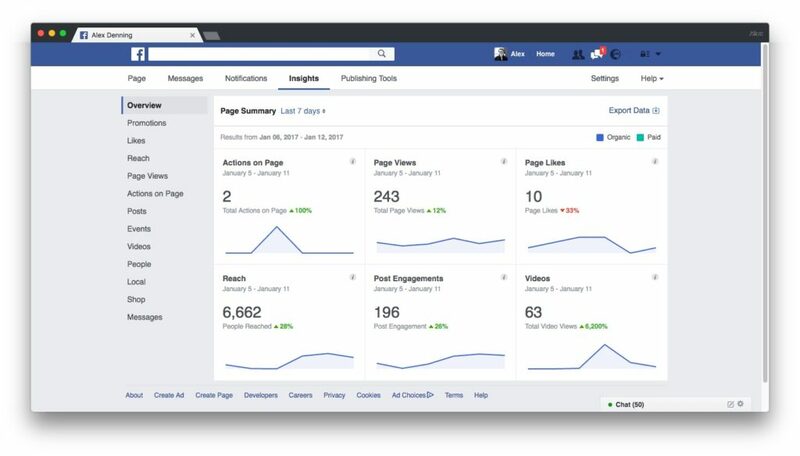 Revive Old Post and Buffer will both let you see what interaction each post garnered, and Facebook offers extensive analytics through Insights. If consistently posts aren’t getting any attention, considering changing how you’re posting, what you’re posting and your schedule. Similarly, if this data shows you’re not meeting your actionable goals, you may wish to increase the number of automated posts you’re putting out about your products or services. Also consider the semantics of how you’re posting to each platform, and compare how each type of post performs. Compare the performance of similar content with and without images, for example, or experiment with different length content on different platforms rather than simply duplicating your output across multiple social networks. Automation tools give you a huge amount of data, so use this to see what works, how this fits in with your social media and business goals and adapt as necessary. Striking the balance is key: let automation do a lot of the work for you, but don’t expect it to do all the work, and be prepared to regularly step-in in order to remain part of the conversation. Automation is going to change the world in ways we don’t yet understand. It’s probably not, however, going to revolutionise posting to social media. The takeaway from here should be automation can be helpful for running your social media, but your involvement is still essential if your profiles is going to remain relevant. You can’t automate personality, and you can’t – yet – automate genuine conversations and interactions with customers. We discussed the importance of understanding the purpose of your social media account and how important actionable metrics are for gauging the success of this. Furthermore, we discussed how engagement is a key actionable metric for most people. The tools mentioned here: Revive Old Post, Revive Network, Buffer and Jetpack can all do a valuable job lightening your social media burden, but rely on them exclusively and your profiles will lack personality and you’ll see engagement plummet. Automation is here to stay, so make sure you use it responsibly. Great article. Thank you for the tips. I have a question regarding automated content via various platforms: such as Buffer AND Revive Old Posts. Is there a way to ensure that the content is not shared around the same time, but is spread out a bit, so as not to overwhelm the News Feeds with content from one source…or is this not really as big of a problem as I would think it could be? Thanks! 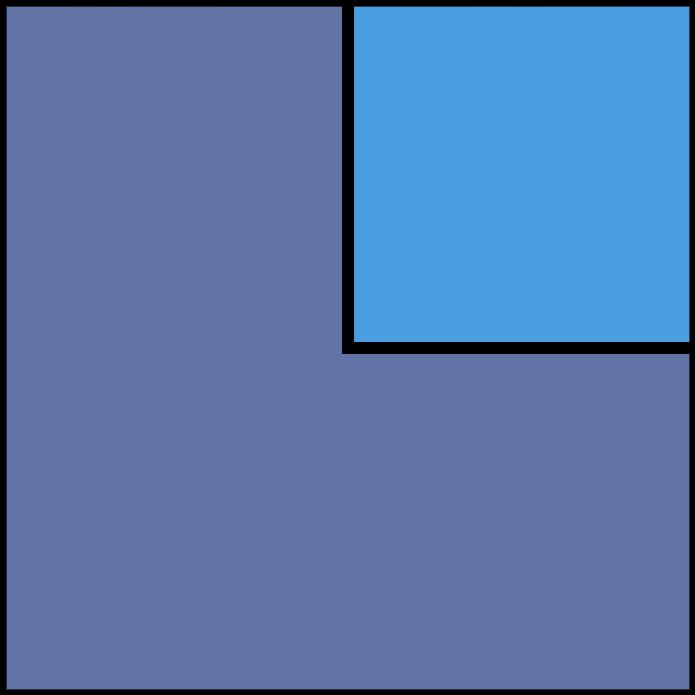 The information in this article is quite comprehensive and helpful. It’s great to have the posting time already planned and scheduled especially for bloggers and online marketers. I would like to recommend the use of social media management tools in order to ensure efficiency in this regard. 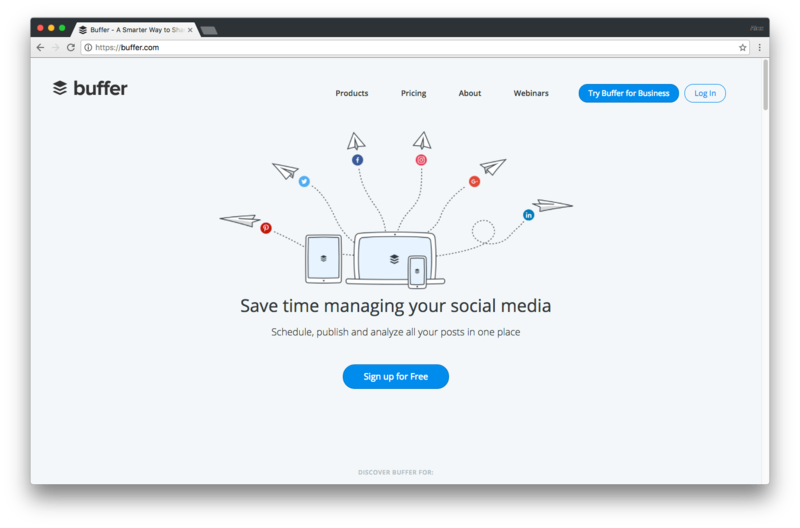 The one that i have been using for my blogs is Social Champ-a one-stop place to create, post, schedule, and analyze all of your social media efforts – eliminating the monotonous task of having to switch tabs between dozens of accounts. It enables you to have a controlled stream of all your blogs, promotional/awareness campaigns, print advertisements and a lot more on different networking channels at the same time. It is the first tool that allows you to automate the repetition of your posts according to your self-designed schedule in order to reinforce your marketing strategy and maximize the number of views. Furthermore, it tracks records of multiple kinds of responses on the content posted on the associated social networking sites and tracks the number of likes, comments and comments in an easy-to-understand and a simple tabular representation, which helps you to analyze your brand’s/service’s growth trends and plan accordingly. Therefore i would suggest all the readers here to apply the techniques mentioned in this article efficiently and accurately by signing up at http://www.socialchamp.io and giving it a try!